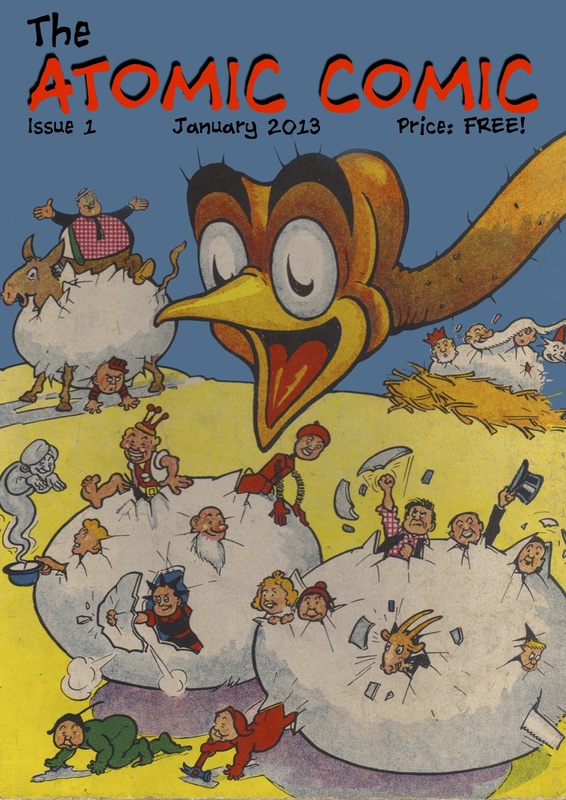 Issue three, with a special cover drawn by Tom Paterson. Yes, after many ups, downs and false starts The Atomic Comic is back, and better than ever! Issue three will be released on 10th April 2016, and pre-orders are ready to be taken. As you may have seen from the picture above, we’ve gone print! Very exciting times and the 32 page magazine has a great selection of articles, the highlight of the issue being Tom Paterson’s very first interview! Also in there is an article on Wham, Denis Gifford, Korky the Cat and much more! Issue Three Out For Christmas! Good news! The third issue of Atomic Comic is due to be released in time for Christmas! Here’s a sneak preview of the front cover which is still being designed. Issue two of Atomic Comic is out now, and is once again completely free! Inside you will find an interview with Séan Baldwin and Jamie Smart, plus a guest article from Will barber – Taylor entitled The Changing Face Of Dennis The Menace. That’s right! the first issue of Atomic Comic has been launched, and is avaliable now FOR FREE! 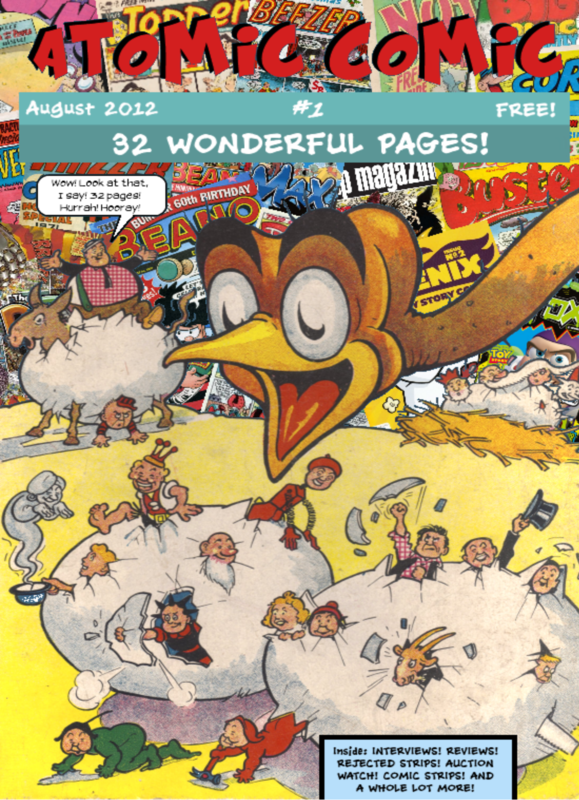 The fanzine is 36 pages and includes an interview with Andy Fanton and Will Dawbarn, part one of a brief history on comics, a look at the first appearence of Gnasher and a whole lot more! You can read the fanzine here, without spending a single penny! At Long Last, We Are Done! Atomic Comic issue 1 is just three pages away from completion, and will hopefully be avaliable next week! I know we’ve said stuff like this before, but this time we mean it! Issue 1 Cover – Plus some information! Well that took longer than anticipated. But, even after all our failures we’ve finally managed to get started (again) on issue #1! Above you can see the front cover, and the original image was taken from the 1941 Beano Book – which was kindly scanned for us by Phil-Comics! 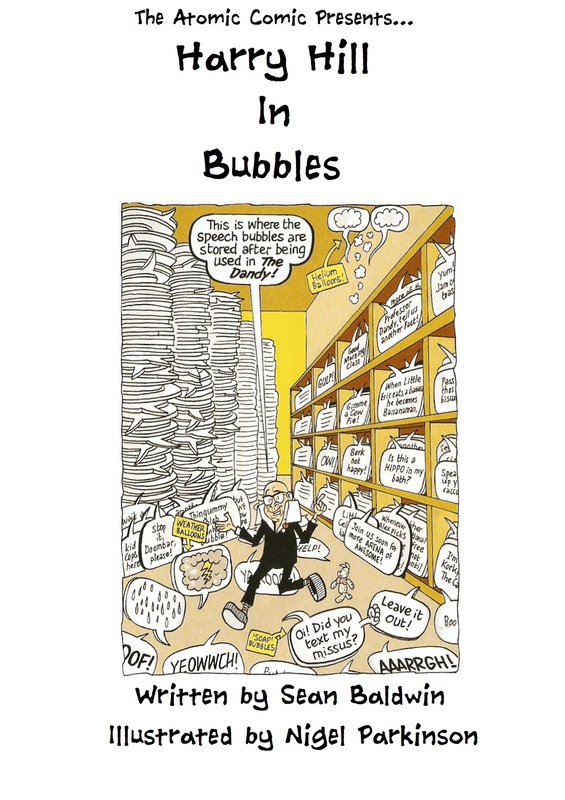 So – how long until the entire publication is ready? Well, if we start writing the articles this weekend, we hope to have the issue ready in four to six weeks! We apologise for the HUGE delay in getting Atomic Comic out there, but it was mostly due to problems we could not control (after all – the original issue one was ready in March)! Please see the previous post for all the information on how to get your hands on a copy, how much it will cost etc. The launch of Atomic Comic has been long awaited by both it’s creators and the fans! We started out the project way back in Febuary of this year, and the first issue was completed and ready to go to the printers by March – interviews, images, the lot! Now, the next step in the plan was to have the fanzine printed so actual copies could be sent out to readers, but we waited several months and nobody got back to us. As you can probably guess, we were very dissapointed with the result, and neither me nor Harry wished to abandon the project, especially with so many fantastic people behind us! But where did we go to next? We took to the internet, hoping to keep a blog and still have a printed fanzine. Still we waited, but no printers got back to us. Fortunatly, we had an internet-whizz on our hands, and Harry has made it possible to have Atomic distributed online! And this is fantastic news, not only because each issue will be ad free, but we’ll also have more pages! 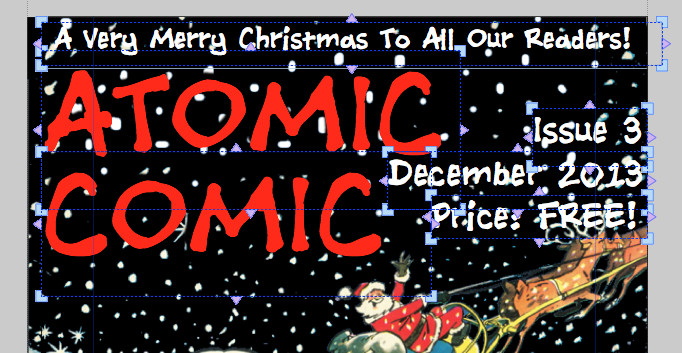 And most importantly, Atomic Comic has been reduced from £1 (although this price wasn’t definate), to £0! That’s right – Atomic will now be 100% free! We still want to get Atomic Comic into printed format, and we are still working on it, and hopefully before too long it will also be avaliable on paper – for only the price of printing and posting! But how can you get a copy? Well the answer is simple – all you have to do is visit this blog and we’ll have the issue right here for you to read or download – fresh every month! But what we all really want to know is – when will this be launched? Well comic fans, we have some exciting news (at last)! It’s almost time for the big summer break – which means we’ll have plently of time to put together some issues, update all our outdated articles, post more blogposts and get the fanzine out there! Although I can’t give an exact launch date just yet, I do know that we are starting *almost* fresh in two weeks – and together we’ll decide an official launch date then – and we promise it this time! It shouldn’t be more than a month from now! Like us for more info!